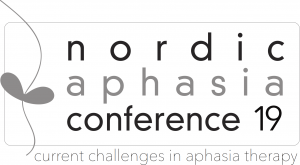 The programme for the Nordic Aphasia Conference 2019 in Turku (Finland) has been published. And guess what? I am one of the invited speakers! It is a true honour to be invited, and I can’t wait to meet all of the other aphasia researchers and practitioners. See you in Turku in June! The programme is available at http://nac2019.fi/?page_id=93 and it will be updated with topics in due time.